Have you been to Target recently? They make you really aware that Valentine's Day is approaching from the minute you walk in. There is Valentine's Day thing-a-ma-boppers everywhere! Despite all of the obnoxious marketing of it, I love it. I love the simple part of it, which to me is fun baking and Valentine's Day card writing. Max asked me last week if we could bake cookies and I am pretty sure I will never say no to that request. I wanted to experiment with something festive that we could recreate again the week of the holiday. 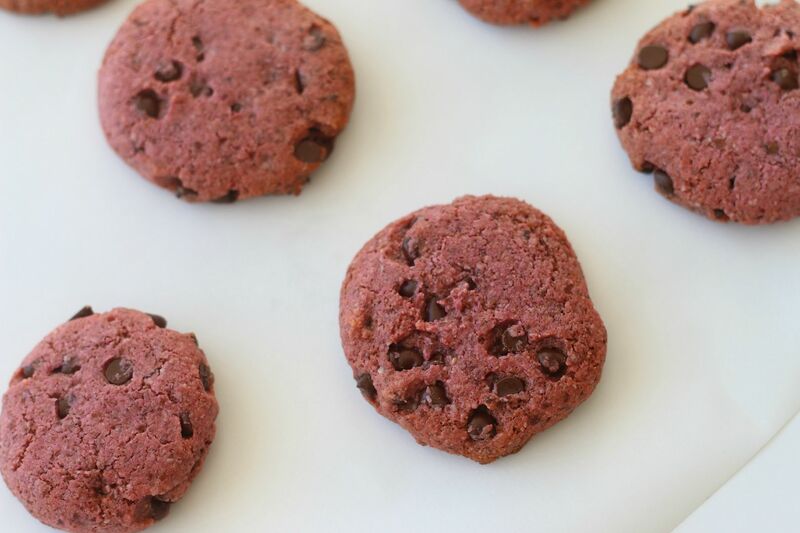 Coming up with healthy red treats is almost impossible without food coloring but since I am not a fan of using artificial anything when we bake I don't like to use it. 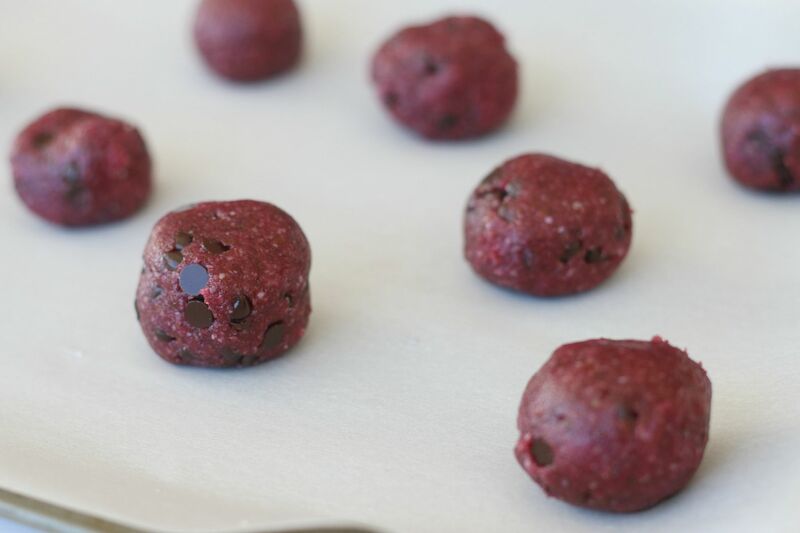 I had recently heard that beet juice was a great natural color additive so I decided to give it a try in our latest baking experiment. The results were unbelievable! 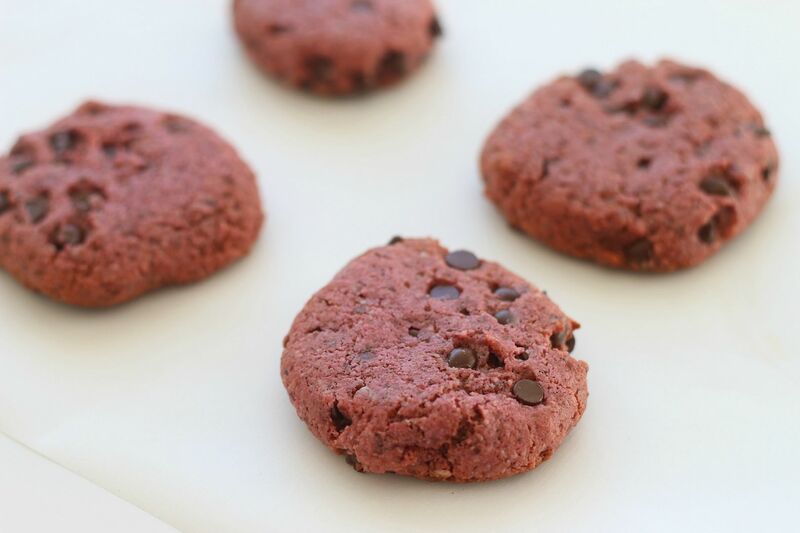 We ended up with yummy, soft reddish pink cookies that we all loved...and the plus side was they tasted nothing like beets, which is even better! 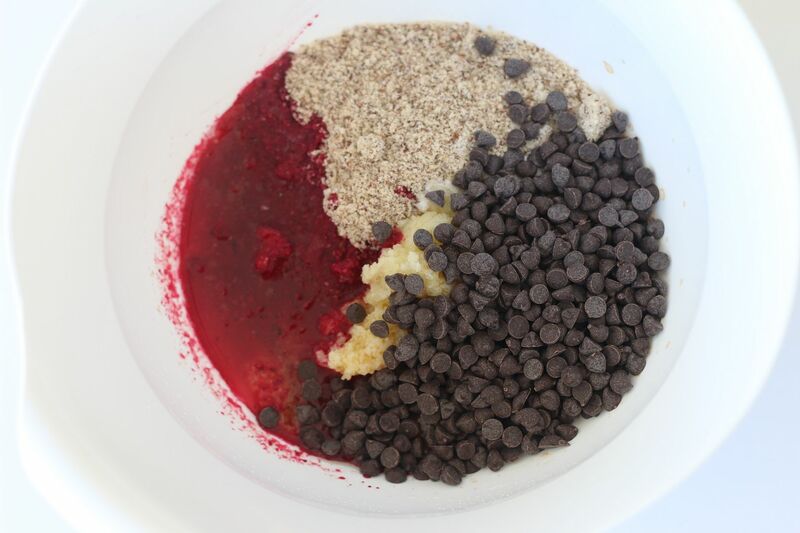 Mix all of the above ingredients together in a bowl. 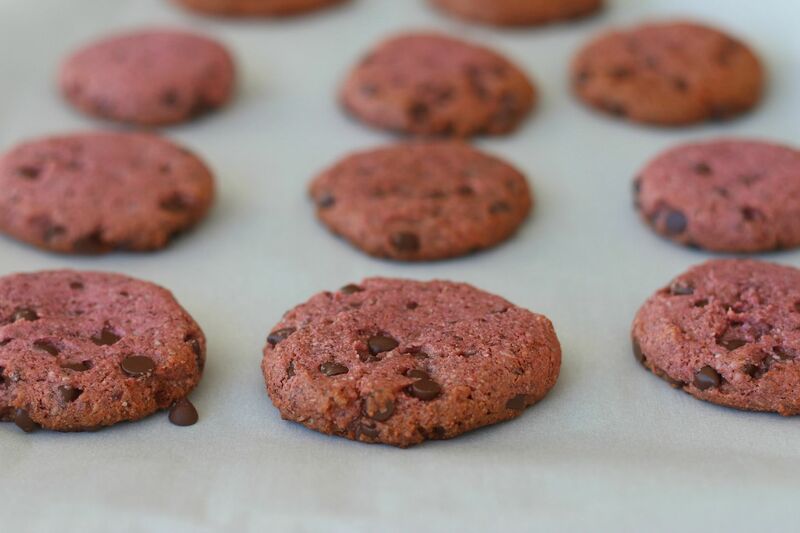 Line a baking sheets with parchment paper and drop rounded tbs size cookies onto the sheet. 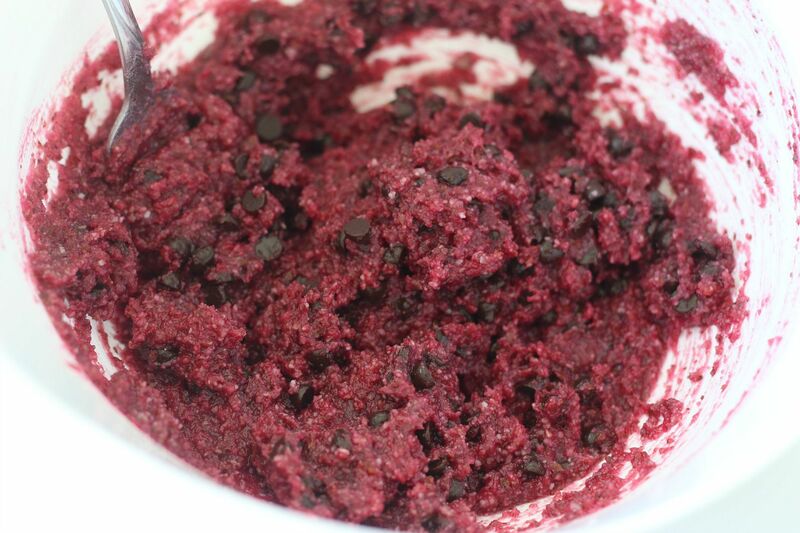 I'm pretty sure beet juice was the original red in red velvet cake, so you're spot-on! Oh my! Can't wait to try these! I have everything, just need to juice my beet. Thanks for sharing! 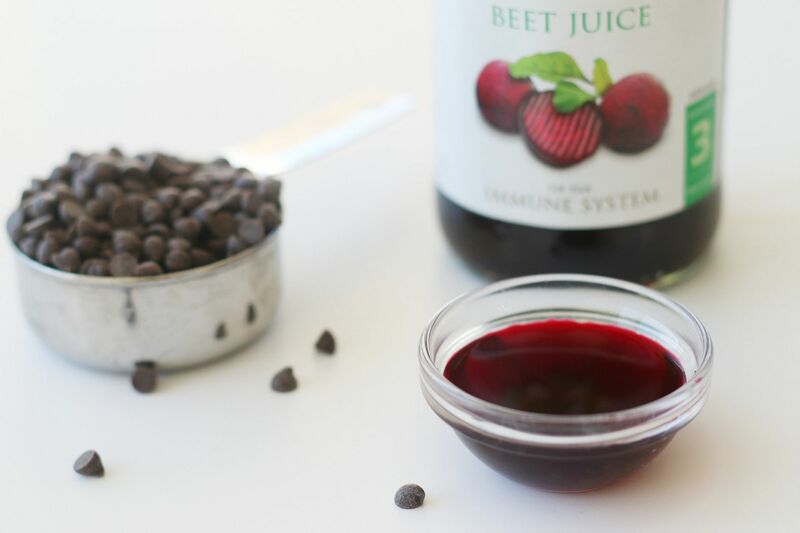 Yeah, I had no clue you could buy beet juice like that. Awesomesauce. i cant eat nuts... what would suggest for coconut flour or tapioca flour ratios? This looks amazing! Thank you for sharing such a treat. I love your blog ! I too cannot have almond flour, is it possible to substitute with coconut flour ? Would I be able to find beet juice at Target?